David Leisure comes aboard The Young and the Restless in early 2009. He'll play a love interest for and Kate Linder's Esther. Kate Linder is a veteran actress of the soap opera world. She even has a star on the Hollywood Walk of Fame. Kate Linder shows off her dress before the 35th annual Daytime Emmy Awards. The veteran actress makes a bold choice in this picture. Kate Linder received a star on the Hollywood Walk of Fame on April 10, 2008. Here's a shot of The Young and the Restless star posing with it. Kate Linder has earned a star on the Hollywood Walk of Fame. Did you also know this actress still works as a flight attendant? 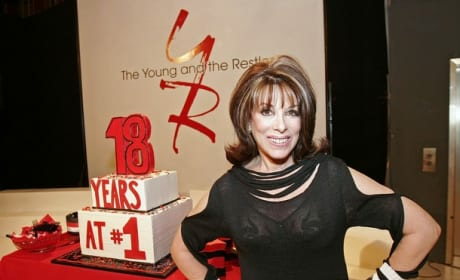 Kate Linder started on The Young and the Restless in 1982. In April, 2008, she earns a Star on The Hollywood Walk of Fame in tribute to her career. Check out this classic photo of Kate Linder. 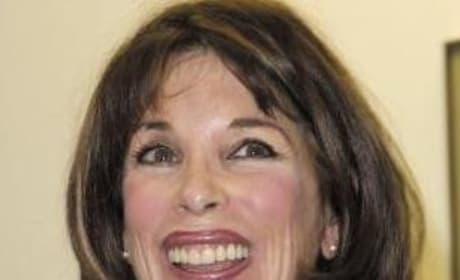 Kate Linder was spotted out and about many places in December 2007. She served food for the less fortunate and even posed with a certain well-known present-giver. 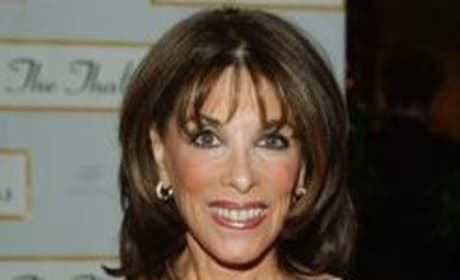 The Young and the Restless fans are well-acquainted with the work of Kate Linder. She's been a mainstay on the series.